While the foldable smartphone from Samsung and Huawei can be developed into a tablet, Sharp is now showing a different approach with its prototype. Here the folding smartphone can be folded up and is reminiscent of earlier folding mobile phones. The prototype of Sharp's own folding smartphone, now presented by Sharp, comes in the classic clamshell design. Here, the 6.18 inch display (2,992 x 1,440 pixels) can be folded along the horizontal axis in the middle and is then well protected. A front camera is placed in a notch at the top of the screen. There is no outside display on this prototype. The OLED display used is of course manufactured by Sharp itself. Also here, as with the Samsung Galaxy Fold, the fold in the middle can be seen in the opened state. The reason for this is the plastic coating used. 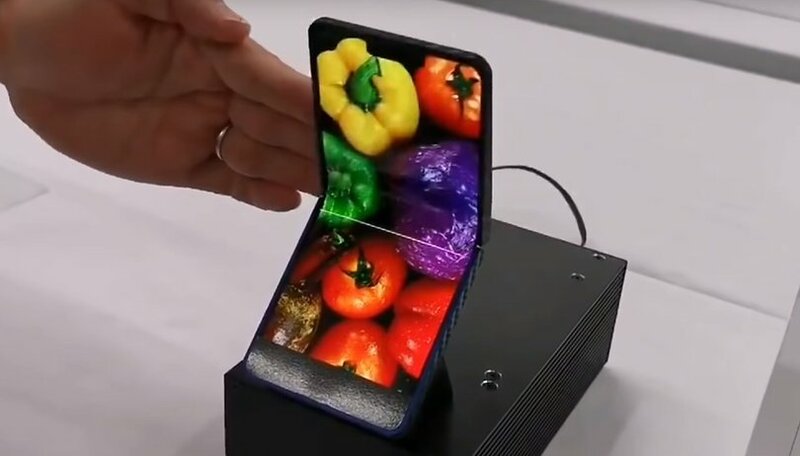 According to Sharp, the display can be folded 300,000 times, while Samsung has only tested 200,000 times for its folding smartphone. According to Mainichi, it will be a few more years before the device comes onto the market. The RAZR 2.0 from Motorola is also expected with the same folding technology, which has only been shown on sketches so far, but has a small display on the outside. So while you still have to wait for the Sharp smartphone, this year the Samsung Galaxy Fold and Huawei Mate X (which recently popped up in-store) are already appearing. But also Xiaomi and Oppo want to have a folding smartphone to offer this year, while we have to wait until next year for a corresponding LG device. Samsung or Huawei? Which folding phone do you prefer? Choose “Galaxy Fold” or “Huawei Mate X”. What do you think of Sharp's concept for a foldable smartphone? Which current variant is your favorite?